Visitors & New Members welcome – all ages! 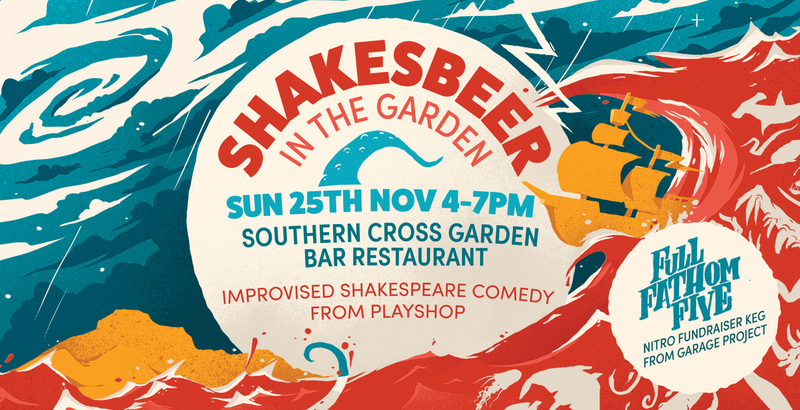 PlayShop whipped up a storm at Southern Cross Garden Bar Restaurant on Sunday the 25th of November, presenting an improv performance loosely based on The Tempest. PlayShop is bringing you Shakespeare like you’ve never seen it, even if you came last year. 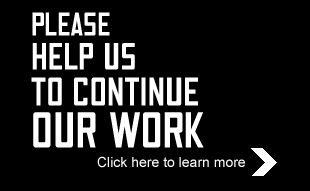 From the best improvisors at this event, either for tragedy, comedy, history, pastoral, pastrol-comical, historical-pastoral, tragical-historical, tragical-comical-historical-pastoral, scene individable, or poem unlimited, an entirely new tempestuous Shakespeare play created before your very eyes. We are such improvisors as new plays are made (up) on (the spot), and our little plays are rounded with a jig. To complement it, Garage Project has re-produced the appropriately named Full Fathom Five. There will be music to begin the event, and a themed traditional roast dinner available throughout the event. 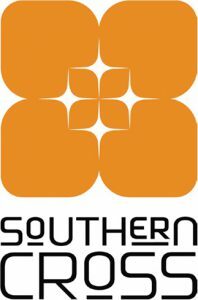 PlayShop comprises largely SGCNZ Alumni. The staff at The Cross also get in on the act, dressing in Shakespeare costumes, as do the Staff and Interns of SGCNZ, all making for a delightful, bubbly, colourful experience! Delighted to be part of the inaugural New Zealand Theatre Month, Shakespeare Globe Centre New Zealand (SGCNZ) and Wellington Shakespeare Society (WSS) staged a reading of The Eternal Woman of William Shakespeare, first written and performed some 40 years ago. Its relevance to this 125th Suffrage year did not go unnoticed either! Cue-script staged readings of The Eternal Woman of William Shakespeare by Rhona Davis MBE were held on 13 September at 88 The Terrace and 25 September at The Hannah Playhouse Bar, Cambridge Terrace. 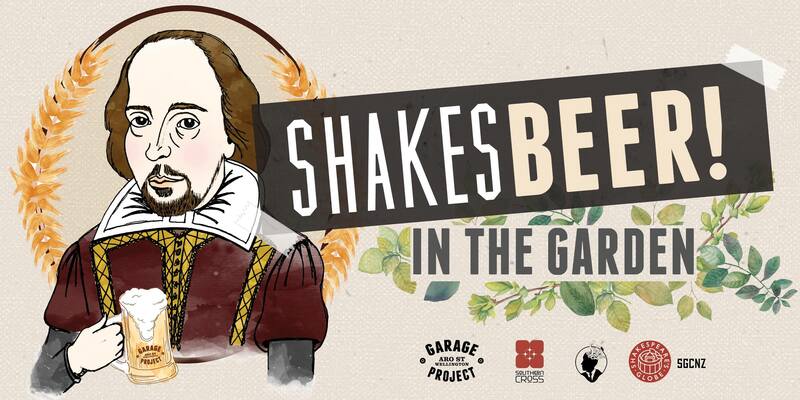 This November, Southern Cross Garden Bar Restaurant, PlayShop, Garage Project and Shakespeare Globe Centre NZ join forces once again to bring you a fundraiser with a difference. Come on down & enjoy a bit of The Bard in The Garden Bar! PlayShop will be performing Shakespeare like you’ve never seen it before. 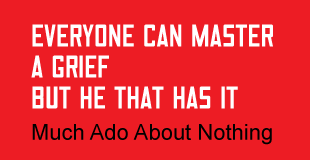 From the best improvisors at this event, either for tragedy, comedy, history, pastoral, pastrol-comical, historical-pastoral, tragical-historical, tragical-comical-historical-pastoral, scene individable, or poem unlimited, an entirely new Shakespeare play created before your very eyes! These talented thespians will interact with all, to ensure a lively and memorable evening away from the pre-Christmas melee. In honour of the event, Garage Project will be treating us to a delicious new English style IPA, created specially for the occasion and served from nitrogen charged cans: an old classic with a brave new world twist! To complete the festivities, there will be also be a traditional roast dinner available in the Garden Bar at the interval. Shakespeare’s compass of the human condition is unrivalled, and includes the darkest as well as the brightest parts of the soul. In this programme of Shakespearean conspiracies, the Midsummer Night Players will present excerpts from three of the Bard’s dramas – Richard III, Julius Caesar and Macbeth – illustrating the different facets of the evolution of evil and bloodshed. Be prepared for an hour of high drama, high poetry and the anatomy of conspiratorial murder! 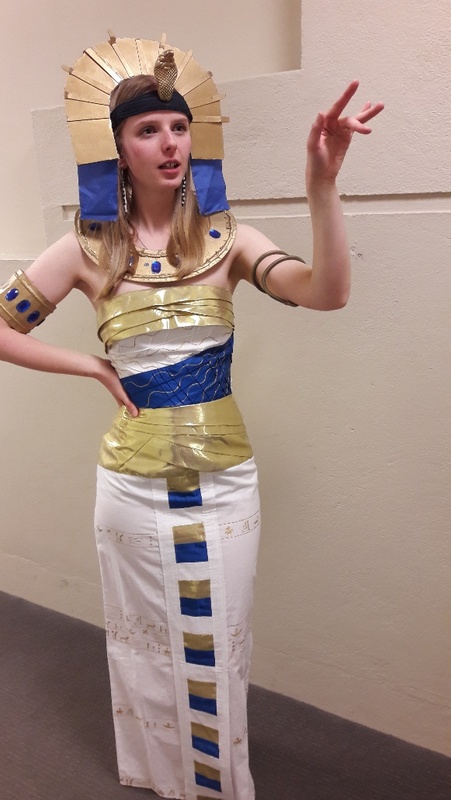 There will also be a forum after the performance, chaired by Shakespeare Globe Centre NZ Alumni Maddie Brooks-Gillespie and Zoe Hancox-Monk. Ben Crystal is a UK Actor/Writer/Producer who, with his father, David, has specialised in Original Pronunciation of Shakespeare. In 2011 he performed the title role in the world contemporary premier of Hamlet in OP, and in 2012 he was the curator and creative director on a CD of Shakespeare in Original Pronunciation for the British Library. And now SGCNZ is bringing him to New Zealand for an extraordinary tour of talks and performances. Download all information about talks, times, bookings and prices here! What did Shakespeare’s plays sound like in his day? 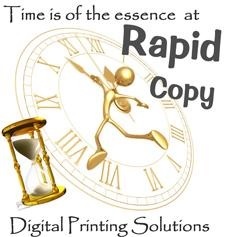 How did those couplets rhyme?? UK actor, prolific author and presenter of Original Pronunciation (OP), Ben Crystal will work in Wellington with a troupe of renowned SGCNZ Alumni, exploring the fascinating original sound of Shakespeare’s plays. They will perform a Shakespeare Showcase of famous scenes, sonnets, songs, speeches and soliloquies in OP, readings full of rhyme, rhythm, and a very subtle humour. And a not-so-subtle one too! Ben is a producer and artistic director of Passion in Practice and its Shakespeare Ensemble. 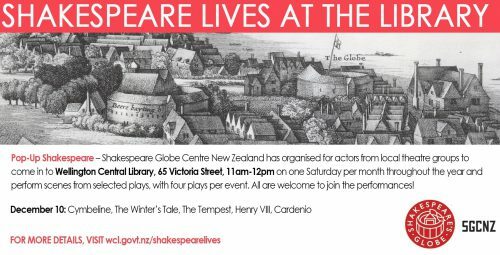 Shakespeare Globe Centre New Zealand organised for actors from local theatre groups to come in to Wellington Central Library once a month to perform scenes from famous plays throughout 2016. Audience members were encouraged to channel their inner actor. The improvised performances and the casual style of the event made it fun for all participants, no matter whether they just watched or acted as well. 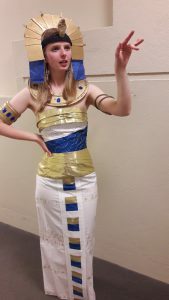 Printed scripts, hair pieces and other props were available to help first-time and professional thespians to feel their part! Shakespeare Dreams in the Cross Garden – Bottoms Up! Bottom playing up in the Southern Gross Garden Bar was just part of the hilarity in store for audience attending Shakespeare Dreams in the Cross Garden – Bottoms Up! on 20 November. With a fun adaptation of A Midsummer Night’s Dream, actors from Playshop, directed by Lori Leigh, interacted with all to ensure it was a lively and memorable evening away from the pre-Christmas melee! 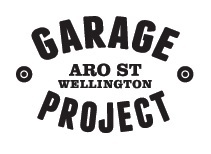 Once again, the Southern Cross Garden Bar generously collaborated with The Garage Project, Playshop and Shakespeare Globe Centre New Zealand (SGCNZ) to present a fundraiser with a difference for SGCNZ towards its activities. The entertainment began at 4.30pm with Daisy van Wel singing till 5.15pm when the play started. 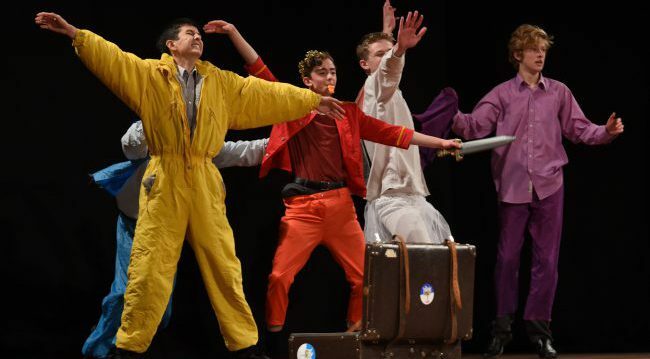 The performance by the cast of dynamic young actors, most of whom are SGCNZ Alumni, was quick-witted, clever and entertaining. Garage Project treated us to a delicious new brew made especially for the event, which was poured from oak barrels and to accompany the ale there was a traditional roast dinner available for purchase in the Garden Bar at the interval. It was an evening full of ferocious fun, festive food and fabulous fermented fluids! Read Alive, a programme of staged readings, is challenging emerging directors to breathe life into rarely performed plays from the Elizabethan and Jacobean periods – in a single day. Actors arrive at 10am, are given their scripts, and work on them for less than 6 hours before a public staged reading at 4:30pm. The programme takes its inspiration from the highly successful Read Not Dead sessions at Shakespeare’s Globe in London and is hosted by The Lord Lackbeards Touring Company and SGCNZ, with funding from the Emerging Artists’ Trust. October’s Read Alive was The Knight of the Burning Pestle directed by Lyndon Hood. An early modern classic, the play satirizes chivalric romances and talks directly to the audience from the very start. The September Read Alive was Dr. Faustus by Christopher Marlowe. This session was co-directed by Cordelia Black and Brandon Mikel. Written by Christopher Marlowe, Shakespeare’s contemporary and rival, Dr. Faustus follows the adventures and philosophical musings of Dr. Faustus and his devil Mephistophilis. It’s a rollicking adventure!